Unravel is a small compact wireless charger designed for travelling yet powerful enough to quickly charge your mobile devices thanks to its 10watt Qi charging pads. 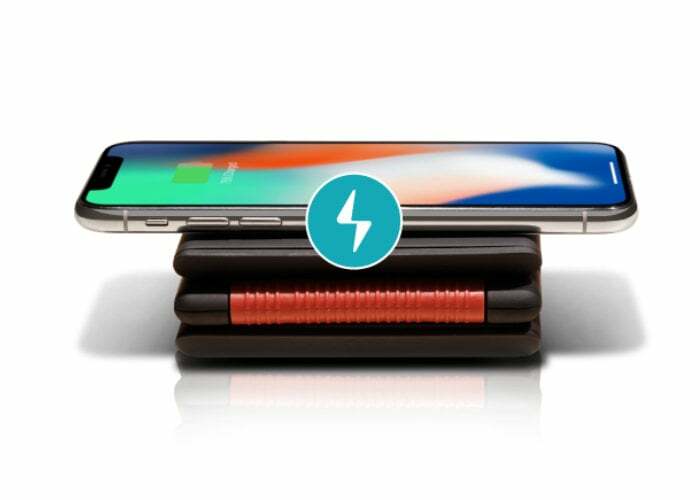 Watch the demonstration below to learn more about the wireless charger created by the design team at Ampere based in the United States. Thanks to a successful crowdfunding campaign the team has already raised over $400,000 and has now started taking preorders via the Indiegogo Indemand service. Three 10W wireless charging pads Are capable of fast charging Qi-enabled device. “A patent-pending hinge design: fold it up, keep it stacked or use it as a stand. With a USB Type-C PD input, power it with the Unravel Adapter or your Macbook charger. Unravel is the ultimate travel wireless charger. For more details jump over to the Indiegogo campaign page by following the link below where the wireless charger is available to preorder price from $59 offering a 33% saving off the recommended retail price.